Former Utah Attorney Generals John Swallow and Mark Shurtleff were arrested yesterday on a combined 23 corruption-related charges during their years in office as Utah’s top legal officials. The pair’s arrest culminates a state-level investigation into the pair’s alleged “pay for play” activities, with charges of bribery, unreported income and destruction of evidence making up a large portion of the charges. 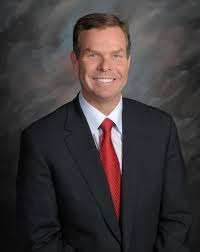 Former Utah Attorneys General John Swallow (pictured) and Mark Shurtleff are arrested on bribery and corruption charges, some of which are connected to Jeremy Johnson, “Black Friday” and online poker. The relationships between the pair, in particular John Swallow, and online-poker payment processor Jeremy Johnson figure large in the charges as filed. Johnson, whose Utah-based iWorks telemarketing empire served as the foundation for the ill-fated SunFirst Bank processing operation at the core of the United States’ “Black Friday” online poker crackdown, turned against Swallow and Shurtleff by secretly recording an hour-long conversation between himself and the then-sitting Attorney General Swallow at an Orem, Utah donut shoppe in 2012. Johnson himself acknowledged engaging in multiple bribes and bribe attempts designed both to assist the SunFirst poker processing operation and to forestall an ongoing Federal Trade Commission case involving iWorks, his Urah-based online- and telemarketing concern. The FTC targeted Johnson and iWorks in late 2010 in a $275 lawsuit alleging false and deceptive marketing practices and illegal credit-card billings. The ongoing FTC case and the commingling of funds between Johnson’s iWorks and online-poker corporate entity Elite Debit are why Johnson was not named as a 12th criminal defendant in the “Black Friday” poker case. Among the bribery allegations acknowledged by Johnson was a purported million-dollar payment made on behalf of Full Tilt Poker to an associate of US Senate Majority Leader Harry Reid (D-NV) in exchange for Reid agreeing to introduce a federal bill authorizing online-poker at the federal level. Reid eventually did sponsor such a bill, known as the Reid-Kyl measure, though it failed to garner significant interest. Reid himself has denied Johnson’s bribery allegations, and other online-poker figures purportedly connected to the attempt have similarly denied the allegations or have declined to discuss the issue. Shurtleff and Swallow were both charged with receiving unreported benefits from Johnson and others, whether in exchange for favorable legal opinions or simply in support of Utah’s prominent, but often viewed as corrupt, payday-loan industry, with which the two former AGs enjoyed close connections. Shurtleff was Utah’s longest-serving AG before resigning for personal health reasons. Swallow, his former assistant AG and handpicked successor to the state’s top legal office, was forced to resign late last year in the face of overwhelming corruption allegations. During the secretly taped donut shoppe meeting between Johnson and Swallow, Johnson made what could be construed as veiled threats regarding the failed bribery attempts and Swallow’s own involvement in several dubious matters. Swallow subsequently engaged in a months-long systematic effort of deleting thousands of e-mails and meeting records from at least a half dozen different electronic devices that were the property of the state of Utah. Among the charges brought are destruction-of-evidence counts related to this spree. Shurtleff and Swallow were both released on their own recognizance from custody within hours of their arrests, after posting bail. Both men proclaimed their innocence in connection with the charges, which were brought at the state level after federal investigators, in another curious exchange in which political favors were alleged, declined to conduct its own formal investigation. Eleven of the 13 charges against Swallow are felonies. Six are second-degree and five are third-degree counts. The remaining two charges are misdemeanors. For Shurtleff, Swallow’s predecessor, all 10 charges are felonies, seven in the second degree and the remaining three in the third degree. FlushDraw will return to the Utah situation with an excerpt of the charges as filed. That excerpt, taken from the complaint against Swallowe, summarizes the Utah AG Office’s ongoing relationship with Jeremy Johnson and also includes information from the SunFirst Bank poker-processing matters. Former Johnson associate Chad Elie is also mentioned specifically, while lobbyist John Pappas and gaming attorney A. Jeff Ifrah, both of whom met with Swallow to discuss the legalities of online-poker processing in Utah, are blind-referenced but not specifically named.